In recent years there have been dramatic changes in the Islamist landscape as Islamist political parties have drastically transformed, violent new groups have burst on the scene, and the proliferation of new media has changed access to information. But have political scientists and other scholars taken the time to step back and examine how these seismic shifts have affected our research methods, priorities, and arguments? Offering an incredibly rich set of reflections, the papers in this series challenge the utility of core concepts such as “moderation” and “radical Islam.” They investigate the operation of specific causal mechanisms such as repression, identity, and organizational structure. They consider how newly available sources of survey and social media data can change our research approaches and remind us of all we have learned. 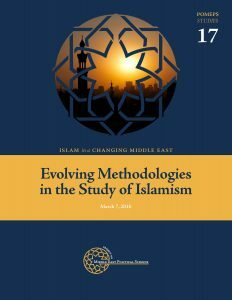 The excellent essays in POMEPS Studies 17 Evolving Methodologies in the Study of Islamism take up these questions. 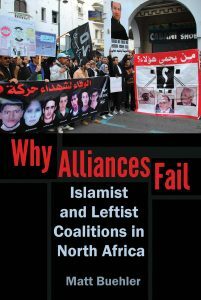 While no one claims to have come up with a single answer, this collection is an important first step in grappling with the complex puzzle of “Islamism” today. This critical and reflective scholarship will be useful for the novice student and experienced analyst alike. Read all the essays for free here.